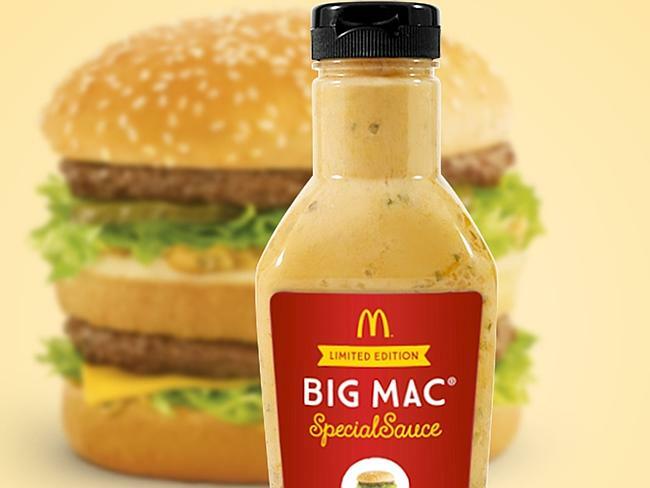 It’s Finally Happened – Big Mac Sauce For Sale! There is a food-based god, and it’s known at big mac sauce, and now the forever popular sauce is for sale in small amounts in store! While admittedly, this isn’t huge news, because you’ve always been able to buy big mac sauce on the side, and speaking as a past employee, it was a popular item. But that’s not the big news, McDonalds is also auctioning off a 500ml bottle of the pure happiness on eBay, with the proceeds of the auction going to the Ronald McDonald foundation. Even bigger news, is that they have released the ingredients inside the special sauce, so now enthusiasts that have craved to make their own special sauce can do that. However, there’s a catch. They havn’t released the ratio of ingredients in a last ditch effort to try and preserve their secrets. They’re releasing their secrets after the rising public awareness of what we’re actually eating, as well as laws surrounding the fast food industry giant. While McDonalds company are surely expecting high bids on the large bottle of Big Mac sauce, I know that i’ll be placing some very low bids in a poor attempt to receive it.